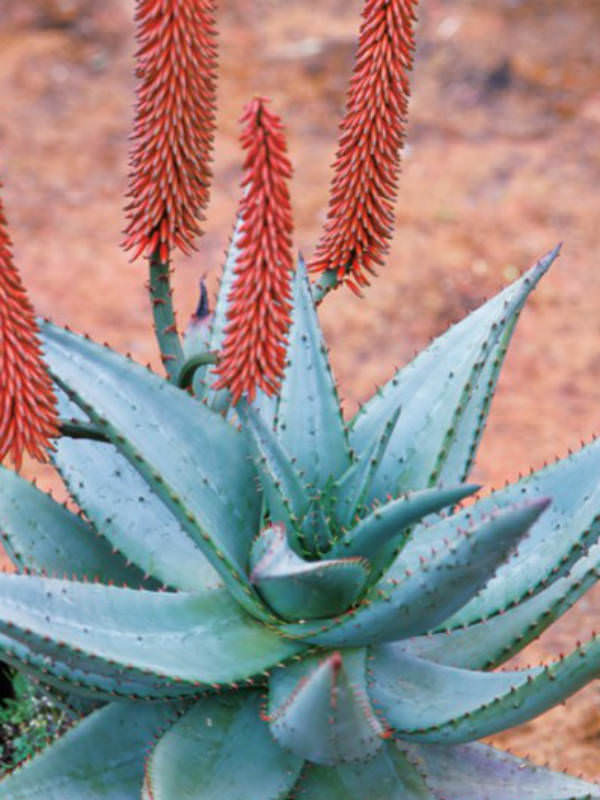 Aloe ferox can grow up to 10 feet (3 m) in height with leaves arranged in rosettes. 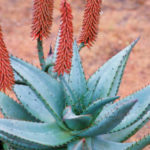 The leaves are thick and fleshy, dull green, sometimes with a slightly blue look to them, and have reddish-brown spines on the margins with smaller spines on the upper and lower surfaces. The flowers are carried in a large candelabra-like flower-head and stand up to 4 feet (1.2 m) above the leaves. There are usually between five and eight branches, each carrying a spike-like head of many flowers. Flower colour varies from orange to bright red. Native to South Africa (Western Cape, Eastern Cape, Free State, KwaZulu-Natal) and Lesotho.